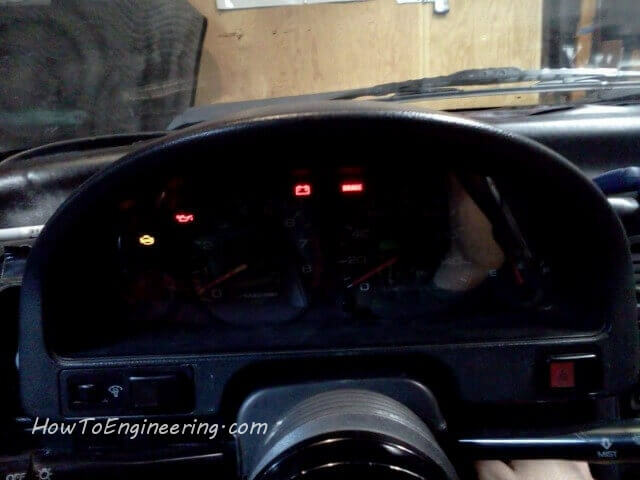 How I swapped a CRX cluster for a Integra cluster. 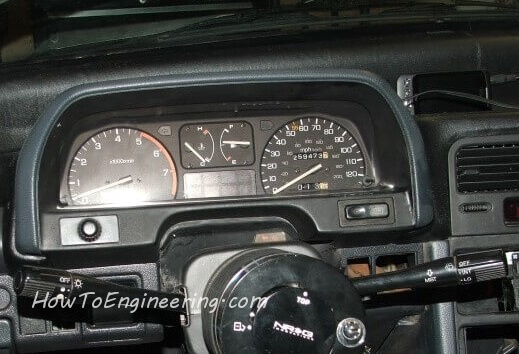 These are the gauges I started with… The stock 1988 Honda CRX HF gauges. They were trashed. I had repaired it so many times, I got fed up and decided to upgrade. 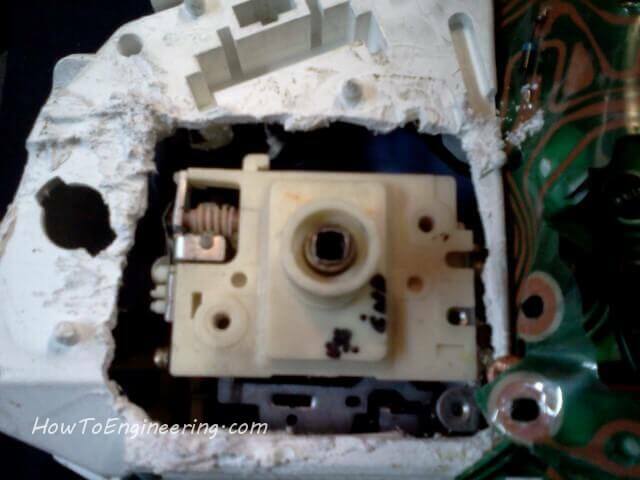 I started by removing the plastic cover, it has 4 screws. 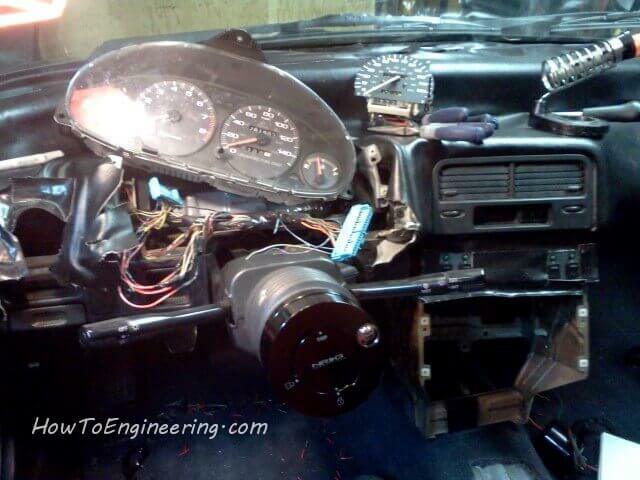 Then I removed the gauges. 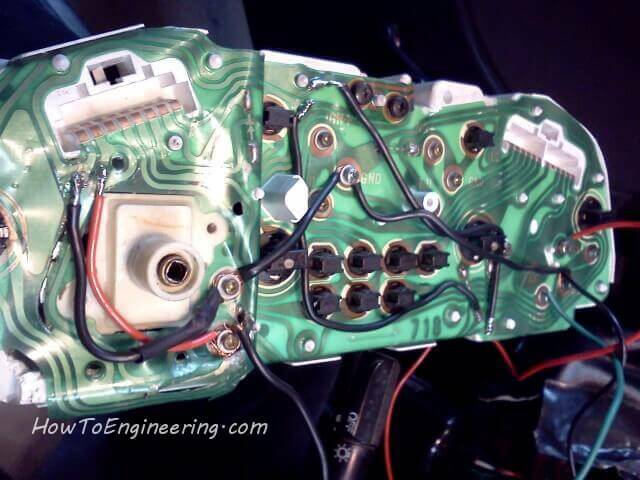 You can see all the cables I had to patch into the circuit for it to keep working. 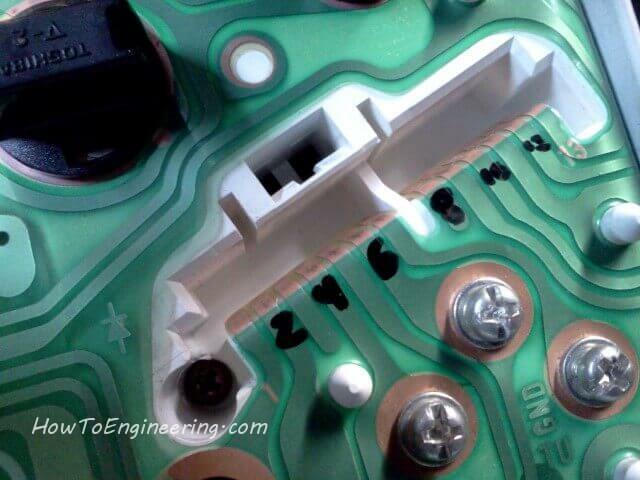 The flexible circuit board became ripped in a few places. Here are the 2 gauges. 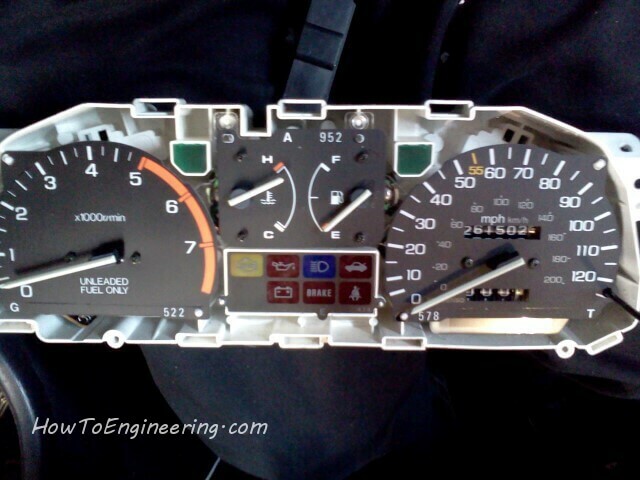 I already took apart the Integra LS gauge and adjusted the miles to match the CRX body. 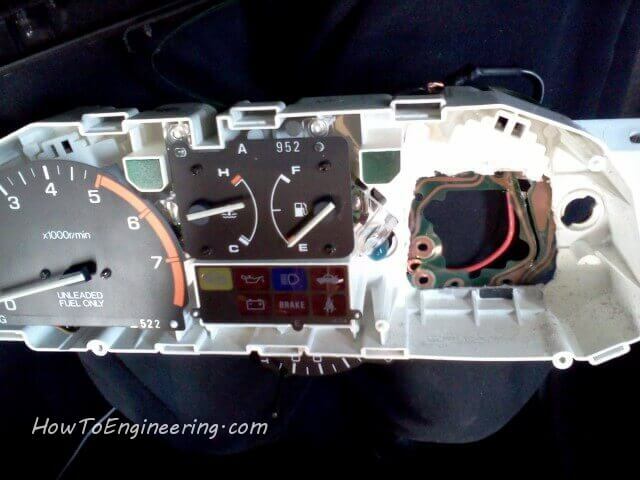 You can see the Integra gauges are rounded on the top. 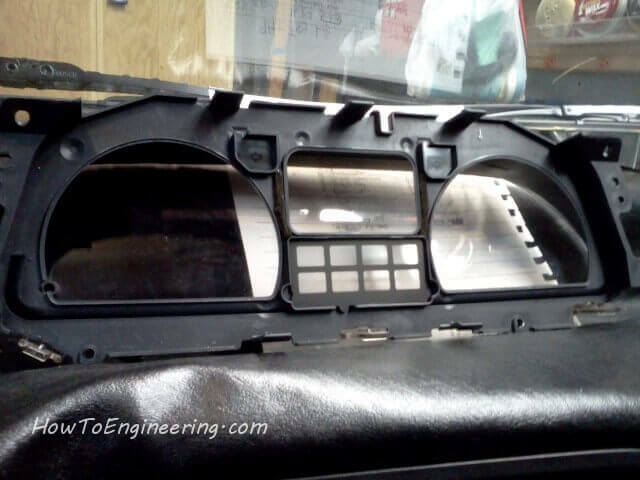 If you have a 1988 or 1989 CRX or Civic (Square gauge cover), you will need to get the rounded gauge cover from a 1990 or 1991 CRX or Civic. 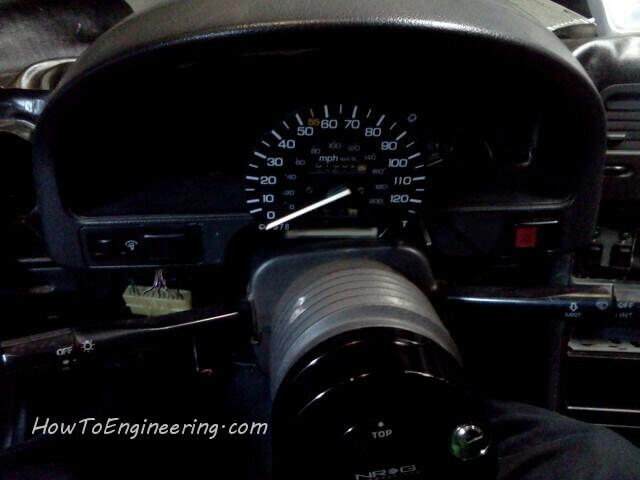 Make sure to get the harness plugs for the new gauge! 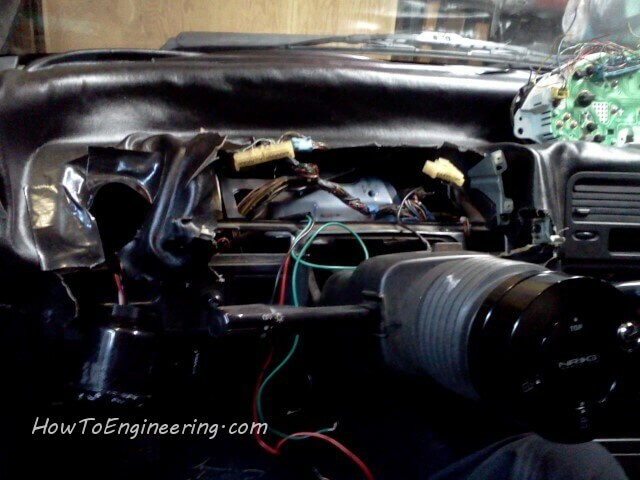 Time to start some wiring. 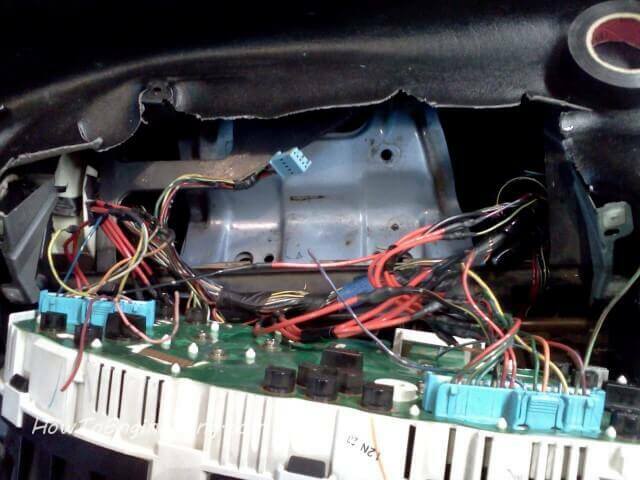 I start by tracing all the wires on the gauge to what they go to. 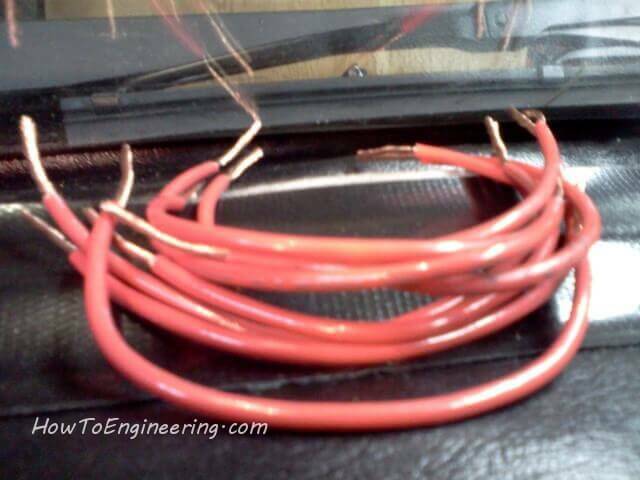 I figure out the common negative in the circuit to identify which wires are positive. 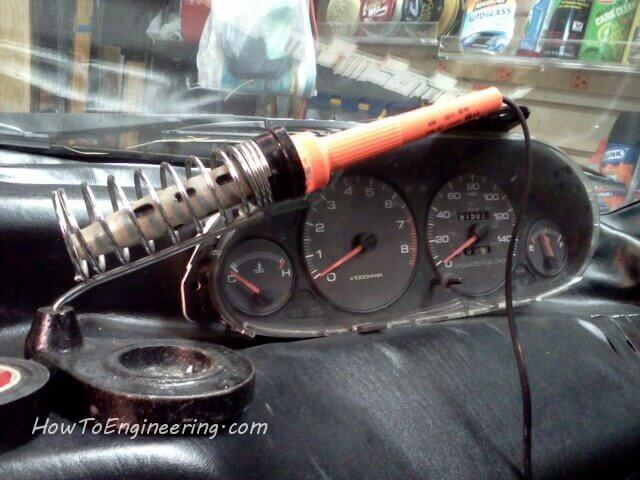 I made sure to clearly mark the gauges so I do not mix anything up. 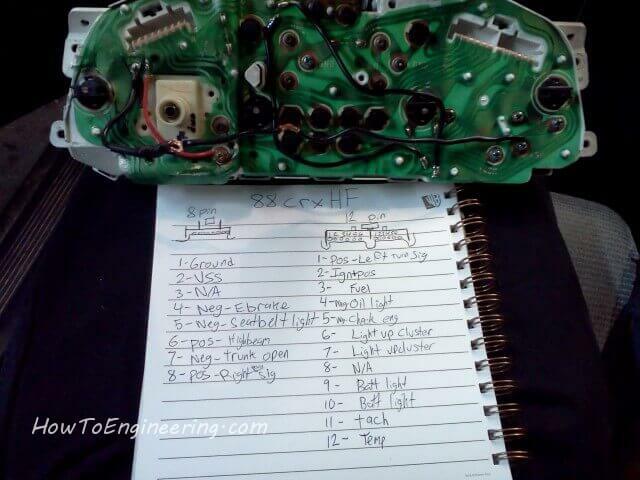 I found out that every model, and every year of the CRX seems to have different wiring. 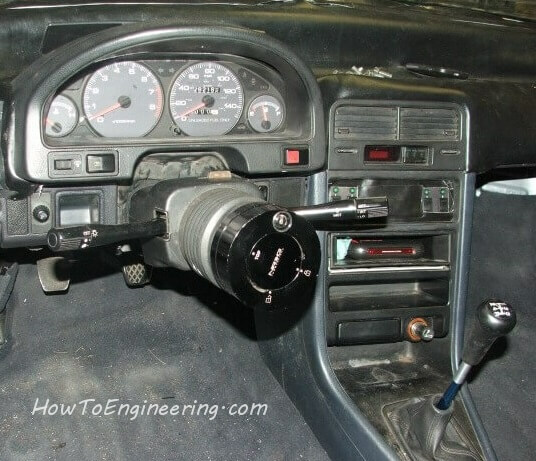 I think the same goes for the Integra. 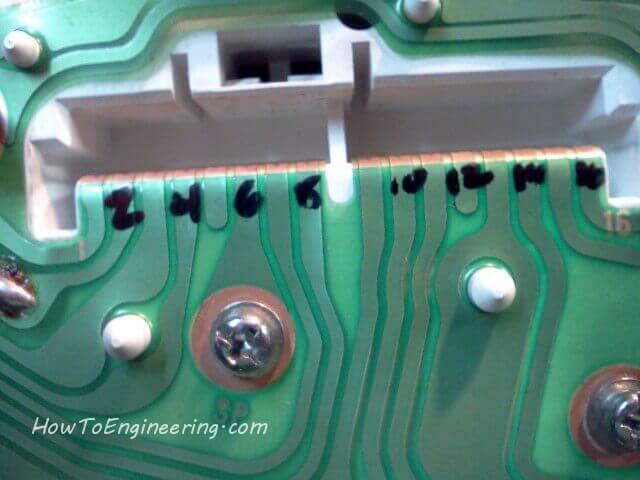 It was difficult to find a pin out online, as everyone has different pin outs. 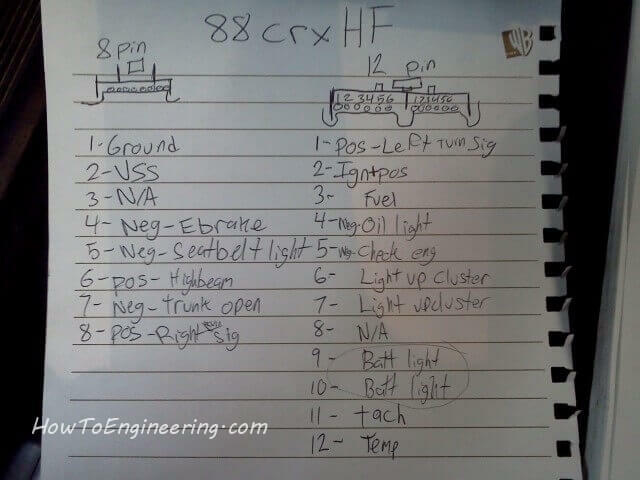 1988, 89, 90, 91, HF, DX, SI, SIR, Auto, Manual, etc all different. 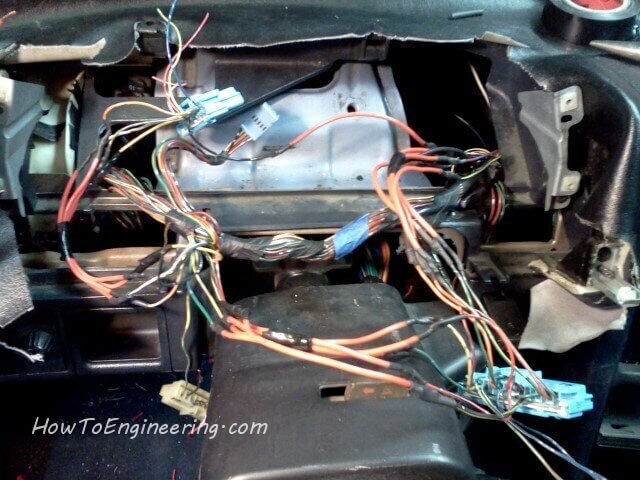 I also traced all the wires on the Integra gauges to get the correct pinout. 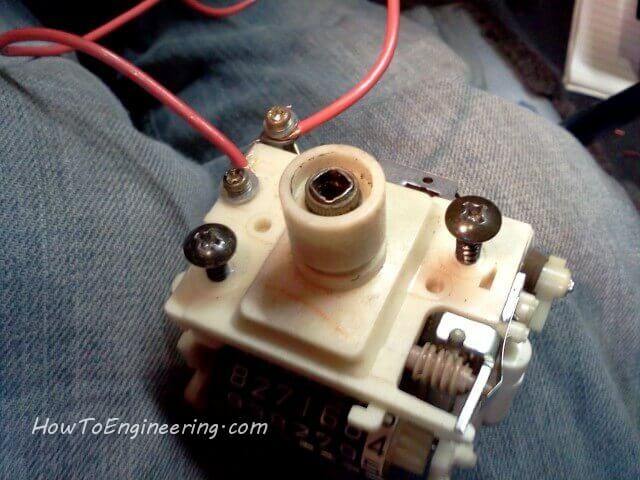 I did not have an Electric VSS (vehicle speed sensor), I had a cable one. I had to figure out how to generate that signal until I get a Electric VSS. I removed the plastic covers. These are the lame little lights that did not work. These are the dim lights that light up the cluster at night. I unscrew the mile per hour gauge to get to the vss. 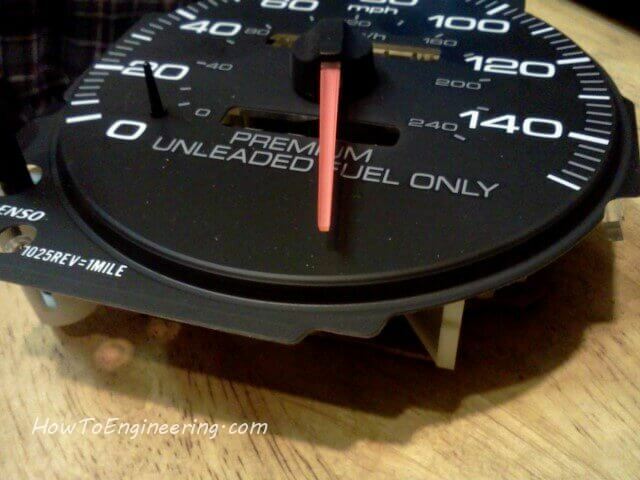 Wow, what did the last owners do to this gauge!!! They ate up the plastic! I thought it would look funny if I had this on my dash. 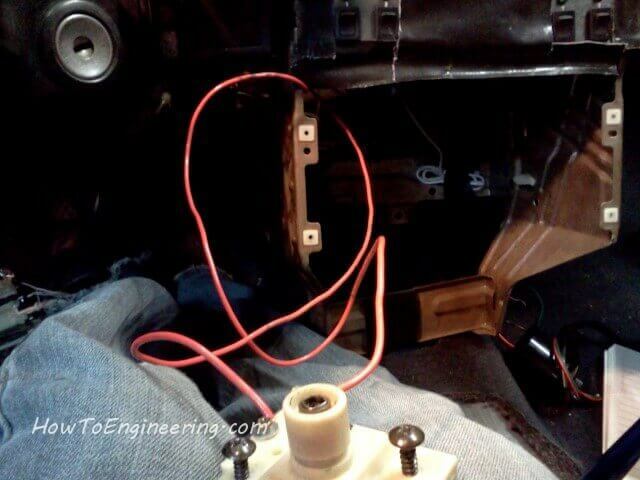 I also wrote matching pin numbers onto the cables… the old crx and the new Integra gauge plugs. Now for a lot of soldering. I hooked a wire spool onto the seat lever to hold it in place. 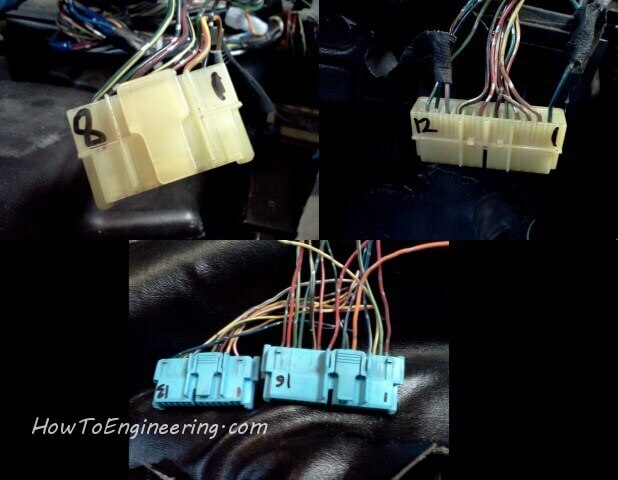 A few of the many wire harness extensions I had to make. 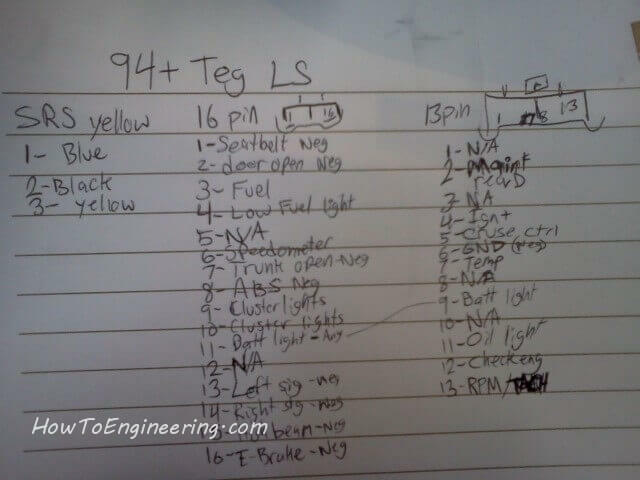 I also numbered the Integra gauges. Everything is now made longer… Almost done. Now to connect everything and give it a test. 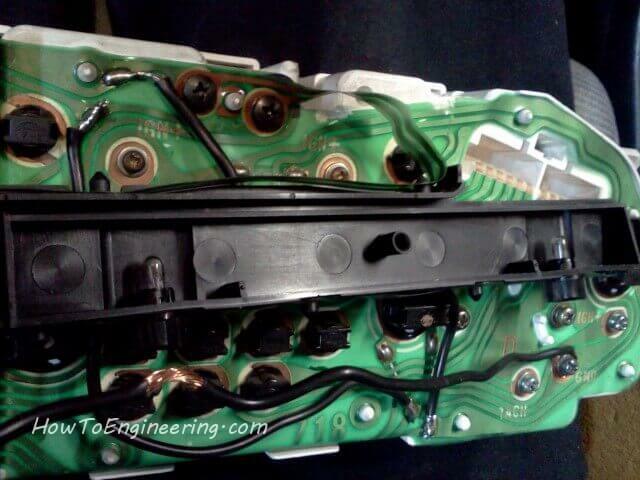 There are a few extra wires from the GSR cluster – my car does not have ABS, SRS, Smart Key, etc. You can use these lights for other things, 12v positive lights them. Yay, everything seems to work. Now to take it all apart and clean up a bit. I added tape and made nice little harnesses. For the gauge to fit properly, I had to cut off the plastic tabs. 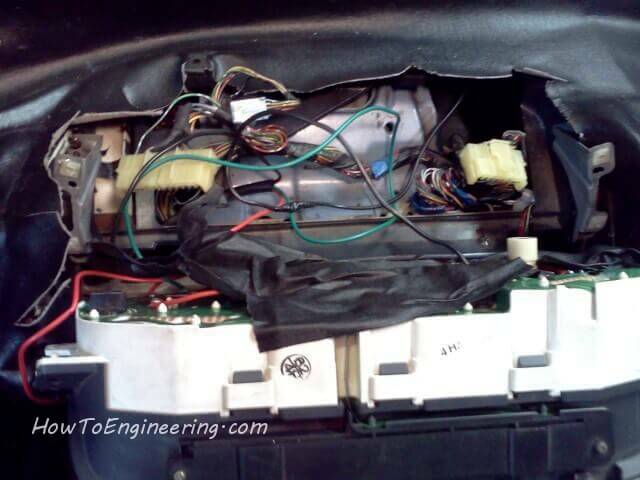 I connected the power wire, and the signal wire goes to the gauges and ECU (engine computer). 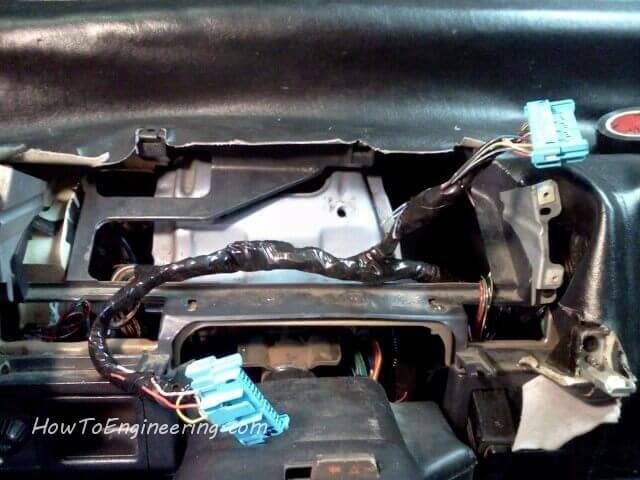 I am going to zip tie it behind the radio bay. 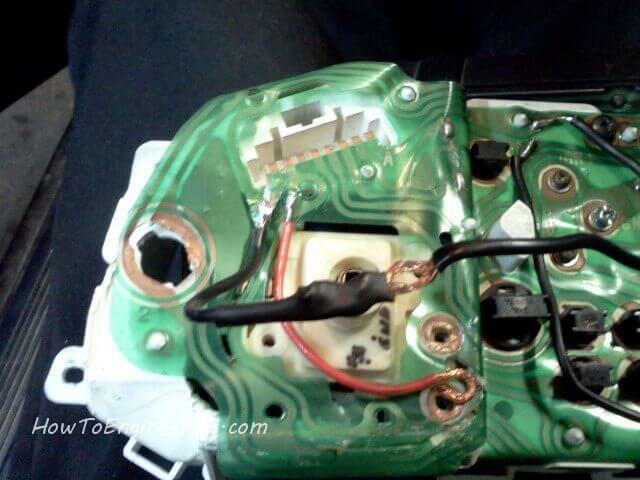 The transmission VSS cable can reach here. 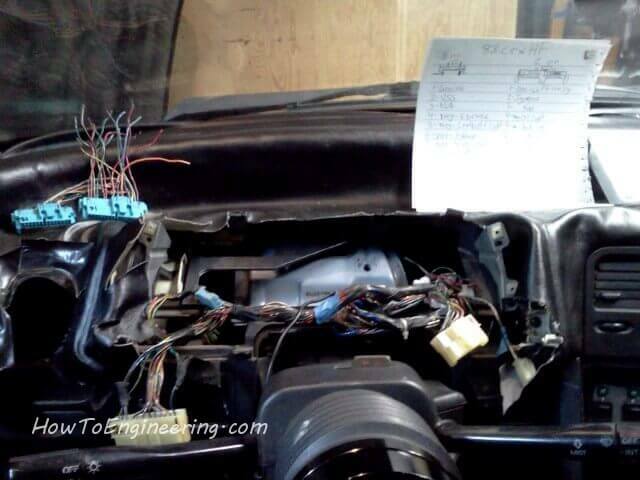 I only did this temporary until I can find a Electric VSS at the junk yard. 52.7 miles and everything works! yay! 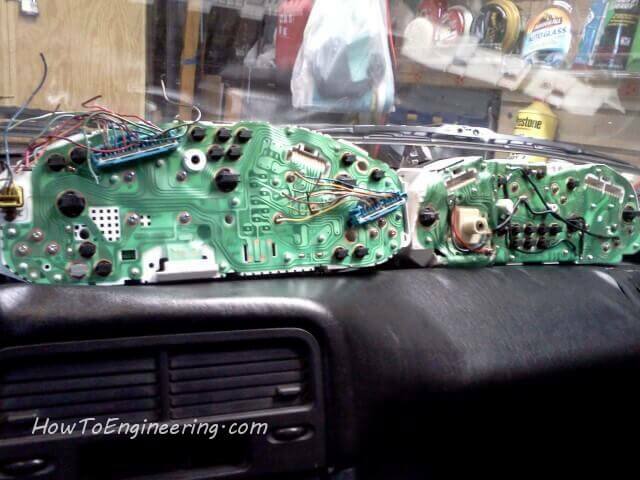 I just wish I had a better way to secure the gauges into the dash. 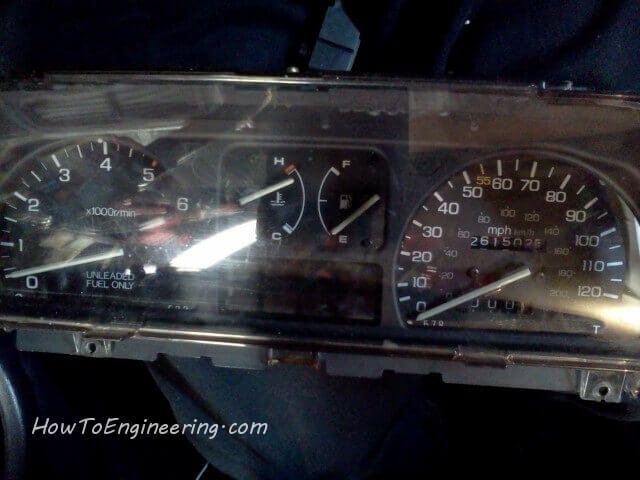 Now I have a GSR gauge set. 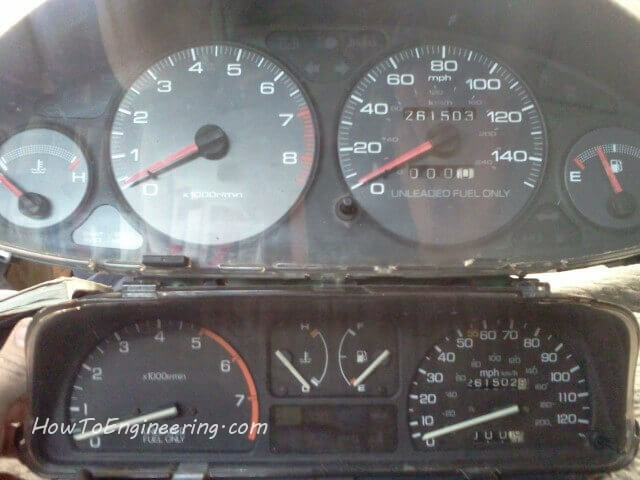 My friend has a GSR swap, so we swapped the RPM gauge because his engine revs up higher then mine. 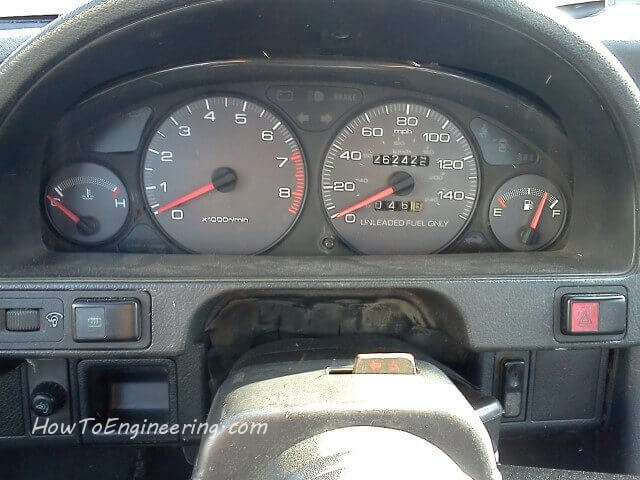 Notice how the RPM gauge needle on the GSR cluster is clear. My friend removed the red die from his gauge needles, and added blue LEDs. 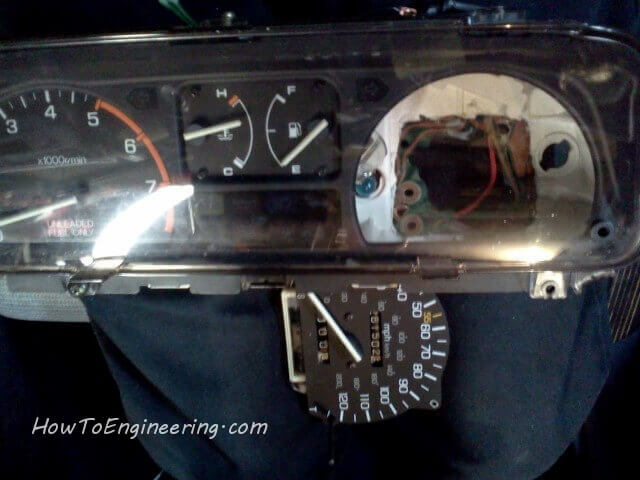 I liked the look of the black facing on the GSR gauges and got them for only $17 at the junk yard! SCORE!!! Be sure you pop the needle over the little tab by 0 mph, then let it settle at the bottom. 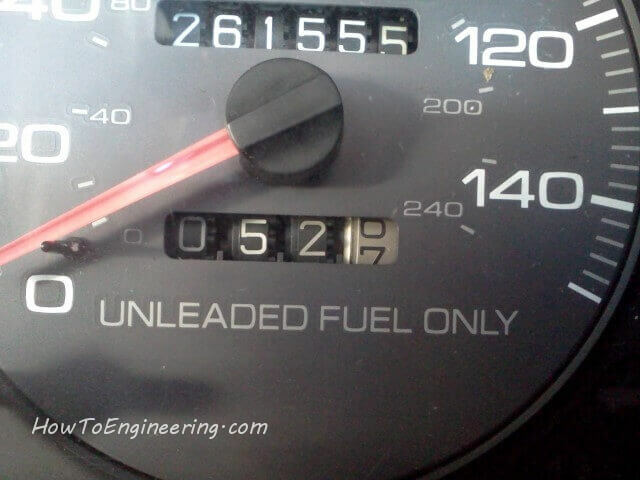 This is the exact place you need to put it back on, or the miles will not show correctly. You can be going 10 miles per hour, and the gauges can show 40 mph or 0 mph… be sure to double check with a GPS or Phone GPS. 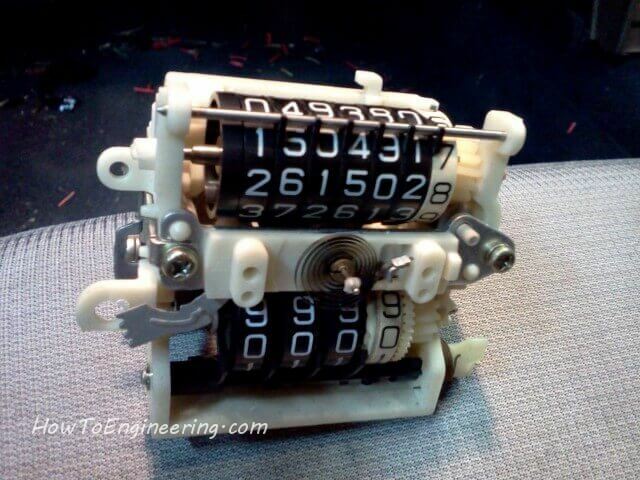 What I did with my old CRX gauge set. Previous Previous post: Add TOUCHSCREEN to a LCD screen!